There are a vast amount of situations and issues that pertain to family law. Some of these situations can make matters more complex, leading to misunderstandings and thoughts on how to proceed. As do so many other laws, family laws are constantly changing and the Peskind Law Firm family law attorneys have the experience and they will make sure you are fully aware of your legal rights and changes in regards to your situation. If you have any questions or would like to request more information on family law, call us today at 630-444-0701 or fill out the easy to use form located on the right and one of our representatives will get back to you shortly. As stated before, family law covers a variety of areas including divorce, child custody, paternity and other matters pertaining to your family structure. These issues would be difficult to navigate through alone. This is why our family law attorneys are important to have on your side when it comes to dealing with these complex issues. If you’ve worked with other firms before and were not satisfied with the results, the Peskind Law Firm also provides family law appeal services. Appeals are far more difficult to manage than the issues brought forth in trial court and our family law attorneys in St. Charles have the experience, skills, knowledge and professionalism to provide you with all of the resources you will need to handle an appeal. Here at the Peskind Law Firm, we fully understand that family is one of the most important parts if your life. 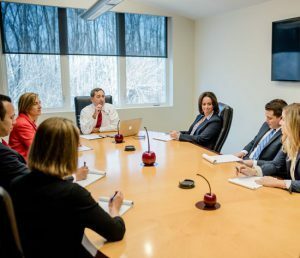 Our experience attorneys possess the skills and know how to help you out during these difficult times in the best possible, while trying to accomplish the task of getting the most desirable outcome for you and your family. If you have any questions on our family law attorney St. Charles services or would like more information, call us today at 630-444-0701 or fill out the form on the right and we will get back to you shortly.